Moving ranks as one of life’s most stressful events. So, for many, the idea of setting down roots in a “forever” home is appealing. Staying in one place means no more packing and unpacking belongings, changing neighborhoods, or learning the quirks of a new home. There can also be a number of financial perks to settling in for the long term. The definition of a “forever” home may mean different things to different buyers, but in general this is a home you can envision living in for the next 20-30 years. On the other hand, a “starter” home is a shorter term purchase, which serves as the first rung to climbing the property ownership ladder. Whether a "forever" home is right for you depends on a variety of personal and financial factors. Before you get swept up in visions of family holidays and backyard barbecues for decades to come, keep in mind the emotional elements that may be swaying your home-buying analysis. Is buying a “forever” home a factually solid long term financial strategy or a romanticized fiction that caters to the emotional side of buying? The truth is somewhere in between. Buying a home for the long term can be a smart investment if your life plans are fairly stable and you aren't just making a purchase based upon your dreams for the future. Skipping a starter home in favor of a "forever" home is a big financial decision that may mean stretching your budget. Note that you should never stretch your budget for any home to a point you cannot comfortably afford monthly payments and repairs. Stretching your budget is not the same thing as breaking your budget. Stretching your budget can mean cutting down on other expenses or saving up a larger down payment in order to increase your buying potential. Also, purchasing a “forever” home does not mean you should buy the biggest, newest, most HGTV-worthy home you can find. Buying a “forever” home means purchasing real estate that meets your long term living needs instead of serving as a stepping stone to buying your next home. There are four big financial perks to buying for the long term. The costs of buying and selling a home go way beyond the purchase and sale price. In many states, there will be title fees, taxes, realtor commissions, and more coming out of your pocket. These transaction costs can deplete much of your home equity when you sell your home and can put a dent in your new home budget. By buying a home you can live in long term, you bypass spending tens of thousands of dollars in real estate transaction costs for a move-up home. It’s hard for younger home buyers to believe, but there was a time when mortgage interest rates were as high as 18 percent! 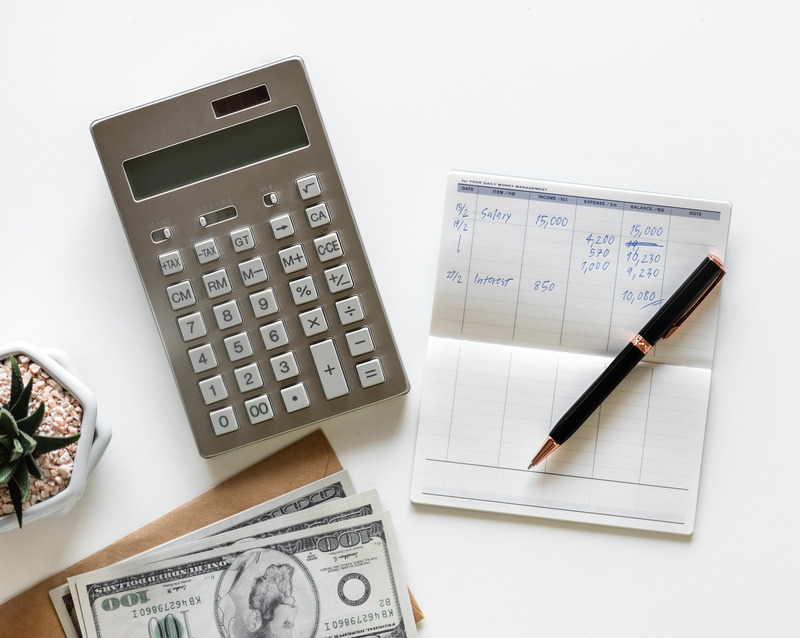 Considering just a percentage point or two can add hundreds of dollars to your monthly mortgage payment, these rates are important to many buyers. In recent years, average mortgage interest rates for fixed mortgages have stayed below five percent, but it’s hard to know what rates will be like a few years from now when it’s time to sell your starter place and buy your next home. A quick look at any amortization calculator clearly shows that the beginning years of home ownership cost the most in interest. It is generally not until about halfway through a mortgage period that more of the monthly mortgage payment is applied to principal than interest. If you start over with a new mortgage every few years instead of buying for the long term, you are prolonging the time when your monthly mortgage payment will be applied to the principal of your loan, building you equity. National and local housing markets are subject to a number of ups and downs. This means it can be difficult to time the move-up buying process. If your home loses value for a period of time, you may end up facing the decision to sell at a loss or being forced to stay in a home that does not suit your long term needs. If you buy a “forever” home though, you are better able to weather dips in the market since you are under no pressure to sell. Why Not Buy a "Forever" Home? While there are many financial benefits to buying a home for the long term, there are many reasons this may not be the best real estate strategy for you. For many, it can be difficult to predict your future housing needs. Young buyers in particular may not know what job and family changes will take place in the next few years thereby changing the type and location of home they need. Also, they may reside in an area where purchasing a “forever" home is not financially feasible even with stretching their budget. In this case these buyers should weigh whether buying a home for the shorter term makes more sense than renting. Also, for some, buying a starter home can become a beginning step into investing in real estate. Instead of selling this first purchase, some homeowners opt to become landlords and continue to purchase more homes to add to their net worth. If you can swing it financially and are fairly certain of your long term real estate needs, buying a“forever home” is a great way to save on future real estate transaction fees and pay off your mortgage principal more quickly. It can also make you less vulnerable to interest rate and market fluctuations. It’s not a great idea though if you expect a lot of life changes in the near future. What are your thoughts on whether buying a "forever" home is the right decision for you? The graduate conundrum - how to make money and gain experience fresh from college. Why Should Content Writers Care About Franchises? What is a franchise and why do they need content creators? What Is Sponsored Content And How Can You Make Money With It?